Fight4Life (yeah it’s a stupid name) was started in June 2012 by Macsorj. 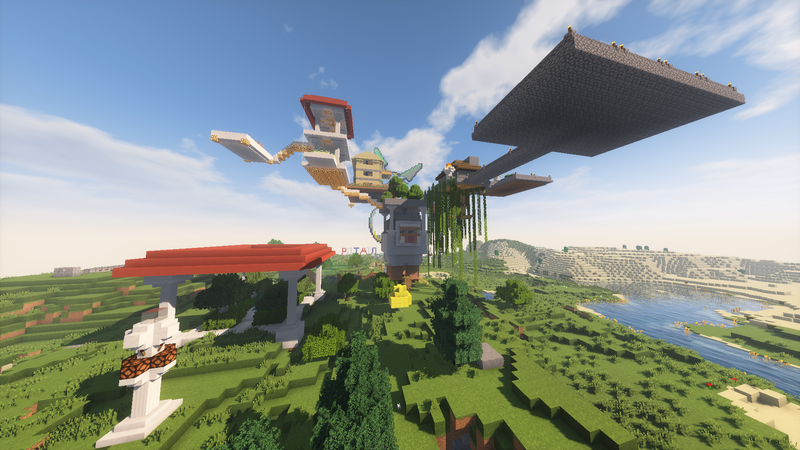 It was originally meant to be a private server for a few of his friends, but eventually he decided that it should be a public server. In the early days of Fight4Life (it actually had a dumber name before but it’s so bad I’m not going to write it), there were a lot of issues such as the permissions not working, and massive amounts of lag. It was a complete mess, but everyone seemed to still have tons of fun. Macsorj even said that it was one of the best times of his entire life. The first eight months of the server’s existence were absolutely fantastic, despite everything being in total chaos. After the first year however, Macsorj and TheCrafterGirl finally figured out how to make things actually work for once. 2013 was just as great for Fight4Life as 2012. There were lots of great moments and fun times, like when the entire server got together on Thanksgiving day to build a giant sheep. Everything was perfect until around January 2014. The server began to die down for unknown reasons. It was completely empty most of the time. Because of this, Fight4Life shut down for good in April 2014. There were attempts to revive it in late 2014 and mid 2015, but they both failed. Nothing related to Fight4Life occurred in 2016. In June 2017, Macsorj decided to try one last time to revive the long dead Fight4Life server. He got many of his ideas for the new Fight4Life server from a survival server called Toomanycows, and he even copied a section of the world with a mod, and used it as part of the main world on Fight4Life. That section of land which contained his house is now Ovlard City. A lot of other things were borrowed from that server such as the grief protection method which is now used in the survival realm of Fight4Life. In July 2017, the server went live for the first time in over two years. It was a slow start, but over the next four months, more and more players joined the server. Fight4Life had finally returned, and is still doing great today! We hope you have a great time on our server!